They show that beta-catenin not only has a role in gene expression, but it is also implicated in the control of messenger ribonucleic acid (mRNA) translation – the process by which genetic information is translated into protein in the machinery of the cell. The findings surprised the researchers. 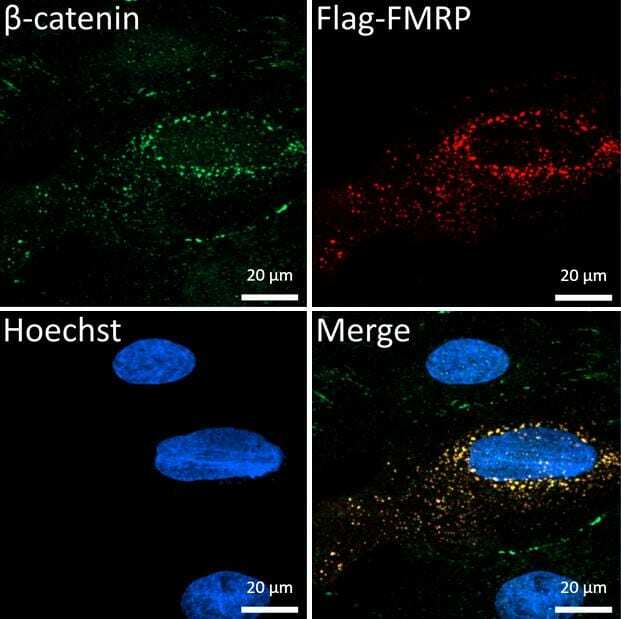 "Beta-catenin is known to have an expansive role in cell biology, including a role in the nucleus in gene expression and at cell membranes, but this finding points to a new, and potentially important role for this 'jack-of-all-trades' protein," said McDermott. "It's a novel role for beta-catenin which was previously unknown despite there being thousands of published papers about this protein in the scientific literature." The research indicates that beta-catenin, when recruited to the translation machinery, represses translation. Upon appropriate signals, it then leaves this complex to allow cellular protein production to be increased. If proper regulation doesn't happen at this step, it could contribute to problems associated with some cancers and neurological diseases. "The next steps are to try to target these novel properties of beta-catenin in various disease states," said McDermott. The research paper, FMRP recruitment of beta-catenin to the translation pre-initiation complex represses translation, is published today in EMBO Reports.